It might be the case that Rossi, after his first suspicious move lifting the cover, did not put it back in place correctly. However, Fabiani definitely reaches somewhere else inside the box and he most probably engages another switch. The "Hurley conspiracy" does not make sense, why wait until Lewan comes back and then distract him? Alan, do you understand what Mr. Hurley's role in the Stockholm demonstration was supposed to be? I'm wondering if you asked him directly or if one of the others who was there told you. William S. Hurley is a financial consultant with his own firm. He has an accounting background. His only public corporate affiliation is being on the board of directors of IPG Photonics, a manufacturer of fiber optic laser components. If he has any relationship with Andeavor (the oil company), it is not at an officer or director level and has not been mentioned by them in any context. Obviously he has been a fan of Rossi for years. Other than that, what's the excitement about? I saw this but I had assumed it was a different person. I still think so. But it is equally true that if you go to the Andeavor website and search for "Hurley" you get nothing. So who is he? He is Willam Hurley, an engineer who works in the oil business. That's what he told me. At the beginning of the demo he was introduced as an an 'overseeing expert'. But he was pretty low key for that role. nodding now and then was most of it. Thanks. I think he probably has the background he claims. My interest is in his role in the proceedings. One thing that has puzzled me is that a summary of COP calculations was sent to Mats Lewan and then posted on ECW over his name (http://e-catworld.com/2017/11/…comments-from-mats-lewan/), and yet this report is written in Rossi-ese complete with "Wh/h" notation and slightly ungrammatical English. Don't start this again or we will have MY banging on about it. Wh/h is power supply engineer shorthand for the sustained load a system can handle. It is however not a recognised SI or Imperial unit of measurement. At about [2:24:40] in the video, as the reactor flashes up when power is applied, what is it that actually emits an electronic beep, immediately after which Rossi hurries up turning the reactor off because it's apparently "burning up"? It looks like the Quark X was controlled through one of the laptop PCs, and there was a control panel program there. Hard to make out what it says here exactly, though. The post was edited 1 time, last by can ( Dec 1st 2017 ). Just like Mr. Bass was presented (and he introduced himself) as "chief engineer" for JMP, a company using huge amounts of heat! errr... wait... sworn court depositions clearly show he was primed on what to say and who to say it to solely by Rossi. William Hurley is ....? Just like the military Colonel who was introduced by Rossi ......? I can say one thing, "Mr. Hurley" is a real person. I cannot say if it is his real name, what is back ground is or what is qualifications are. From what I have seen Alan, his presence there adds zero to the credibility of this DPS. Actually reduces it, but you apparently are not willing to criticize any aspect of this. Several people contributed to expenses, hoping to get a unbiased and accurate report. The photos, etc. are good, but the reporting so far (in my opinion) is pretty much.... "If you cannot say anything good about something.... then do not say anything at all!" I am disappointed. You said you would report on what you actually saw. It appears that what actually happened was one of the worst "demos", credibility wise, Rossi ever gave. And yet, you still remain over all, very positive about him. Always defending or at least deflecting. This is not what I would call unbiased and accurate reporting. But then, who am I to say.... I am glad that I at least got a bigger return on my investment in the last months market! Bob - Well, sorry you feel that way. I have done my best, but in the face of a flood of other reports (Mats, ECW's rep) it seemed unreasonable to write up much of the same things again. I do remain gently skeptical but in general I am positive that Rossi has got something real, and I am not alone in that. If I had no hope, I would not have gone, but as someone there said to me 'This is the hottest ticket in maverick science'. Nothing I didn't see has made me change my mind about Rossi's general flakiness, but nothing I saw has made me want to disavow the man. If donors thought they were paying for a Damascene conversion, they are doomed to disappointment, since I am not so easily bought. And anyone who would like their cash back on the grounds that they donated expecting me to rubbish Rossi on my return only has to ask. I should remind you that I never asked for donations, they were volunteered, much to my surprise -they certainly made it easier for me to go, and I did appeal for people to stop donating when it yielded enough to cover my flight and hotel. I remain grateful for the support, as it helps me to continue with my own support of researchers with materials and equipment 'pro bono'. I try to give back at least as much as I receive. ps. Sincerely glad the market is looking after you, in 2008 I did a lot of looking after the market. But some things will defy gravity, at least for a while. I futzed with that image a bit also, and did not get much more out of it than you did. The bottom left seems to read something like "Power Control" and "ECAT" under it, but that is just a guess. The Rossi skeptics here will find it difficult to reconcile your views as above, entirely consistent and expected, with facts. It seems there is mysterious (to external observers) persuasive evidence which leads you and, as you say and I can believe it, some others, to think that contrary to external evidence Rossi has something that works. What I find interesting about this is that apparently honest and thoughtful observers like you fall under the spell of this persuasion, and yet are unable crystallise the evidence in a form that works for others. Some here may point to conspiracies as a way to resolve this minor mystery. I don't: but it remains part of the fascination for me of the Rossi case that somone so obviously dishonest in terms of his science and engineering should attract such support. I see it as more a psychological mystery than a scientific one. I think the label below "On time (ms)" is referring to some kind of "Code". Besides the "Exit" button on the right, perhaps a date on the right of "ECAT Control", a "COM4" port, and something that is "OFF", I'm really unable to make out the rest. Anyway, I think here "Reactance engineering" is the most interesting bit. Are they playing tricks with electrical reactance ? 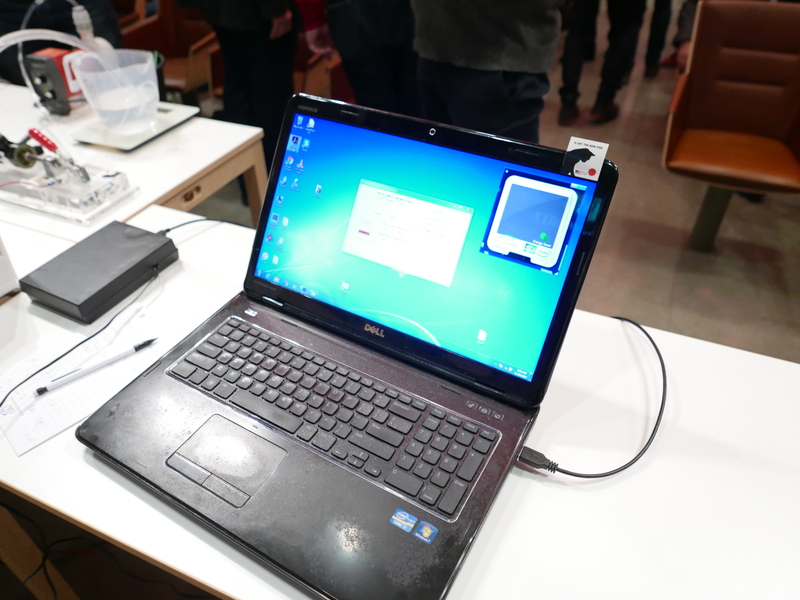 The takeaway is suppose is that there must be a USB connection to the power control unit so that it can be controlled by the laptop. My guess is that the switch on the side of the power control is the enabler for the kick start voltage spike. I figured it might have been a company name, but I didn't know it was Jim Bass' (or if I read that before, I forgot about it). "Reactance Engineering, Inc." is a business in Florida near Miami.